Brightest of blues, charming bead works, a ravishing silhouette all come together to create this fine piece of clothing at Snehal Creation. The highlight of the tunic is a ban collar neck line that has heavy multi coloured embroidery for a neck panel with pintex design around it. 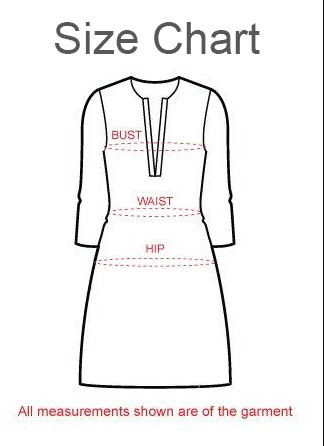 The A-line silhouette of the tunic makes anyone look in perfect shape and is highly flattering to the figure. Good quality georgette makes it ideal for all four seasons.